It’s my first time at the Wagah Border, the line that separates India and Pakistan. It’s getting toward sundown and the place, at least here on the Indian side, is a swarm. Ever since the SUV ride to the drop-off point, with two people stuffed into every individual seat, the experience has been one of ever increasing claustrophobia. Now I am pushed forward as if by a wave. It is hard to breathe. My feet occasionally leave the ground. Somewhere behind me a child is crying. The Wagah Border is an unlikely attraction. There is nothing particularly noteworthy about this place other than its location. 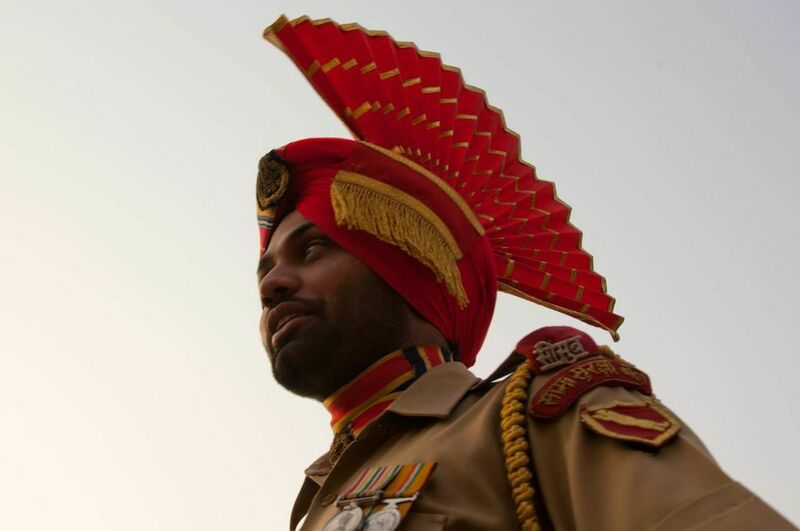 Every evening, when the road that connects India and Pakistan is closed for the night, soldiers from each country mark the event with pomp and circumstance of a decidedly hawkish nature. Tensions between these countries have been tight ever since 1947, when British decolonization led to the formation of India, West Pakistan and East Pakistan (now Bangladesh). Since then, there have been four wars between the nations and numerous conflicts. Although the territorial strain has abated in much of India and Pakistan, it remains ever present in India’s Punjab region, which is predominantly Muslim, and which Pakistan desires to control. The woman behind me is sweating profusely. She does not look well. When I turn around to see if the ceremony has begun, I am hit with projectile vomit. It makes the people around me nauseous and I decide that, for all the effort it took to get here, the discomfort of the whole spectacle is not worth the effort. So I head for the exit, which is also the entrance, but there are too many people still trying to get through. No one budges. I yell “ulti,” which means “vomit” in Hindi, and the folks standing in front of me quickly move aside. A border guard senses my frustration or perhaps smells the vomit on the back of my clothing. He asks where I’m from. I tell him, “America.” He tells me that there is a special section of seating for foreigners. He points to a gate that I had passed earlier when I was carried along by the crowd. I flash my passport and a guard waves me through. His thickly bearded face betrays a smile and he shows me to my seat. I am late, so I get to sit in the overflow seating, which is the curb between the seats and the road. I jealously eye the spectators in the seating closest to the gate that divides the two nations, the Indian VIP seating. I am in the foreigner section, which is the buffer between the Indian VIP and regular Indian section, where I was earlier. There is music and cheering from nearly all of the Indians in attendance. Young women are dancing in the road. Most of the married and older women are wearing traditional clothing. The younger ones wear jeans and t-shirts. Some take turns running back and forth holding a large Indian flag. This is a lively bunch. They are having a blast. I look across the border into Pakistan. There are far fewer people in attendance. Men and women are segregated in different sections. People look to be much more reserved. 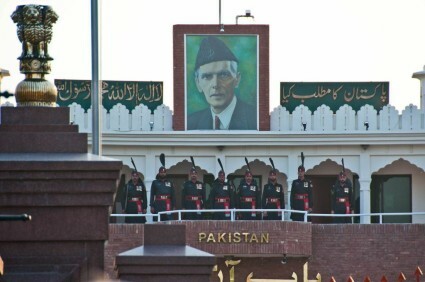 Behind the Pakistani spectators hangs a larger than life picture of Jinnah, the founder of Pakistan. His intense gaze leers over the border at a similar photo of Gandhi, the father of modern India. A man acting as an MC on the Indian side appears in the road with a microphone. He asks everyone to get seated and settle down. Six Indian soldiers, part of the Border Security Force, or BSF, appear in khaki uniforms, white spats, and red turbans topped with large red fans of fabric. The highest-ranking soldier faces the crowd while the remaining five stand with their backs to the crowd. One of the BSF soldiers blows a trumpet and they proceed to take turns, one by one, goose-stepping towards the border. Upon reaching the border between India and Pakistan, the soldiers stomp then speed march back to the end of the line. The same thing is happening on the Pakistani side. The sight is reminiscent of an avian territorial display or a courtship ritual. As the ceremony progresses, Indians chant “India zindabad,” long live India. Pakistanis counter, “Pakistan zindabad.” The taunting continues in a volley of verbal one-upmanship. The display of intimidation, what one comedian has called “carefully choreographed contempt,” wanes as the sun begins to set. A soldier from each country approaches the border, grasps the rope holding his respective national flag, and begins to pull. The flags are lowered simultaneously so that neither pennant is higher than the other at any moment. The soldiers grab the gate on their side of the border. The ceremony ends with the slamming of the gate. Despite the tension here, the basic economic principles of supply-and-demand keep a kind of peace between the nations. On the road outside of town, I see trucks from Balochistan, a Pakistani city on the border of Afghanistan. 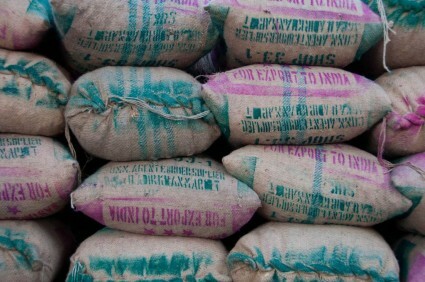 The truckbed is stuffed with burlap sacks of dates, the words “For Export to India” stamped on the outside. 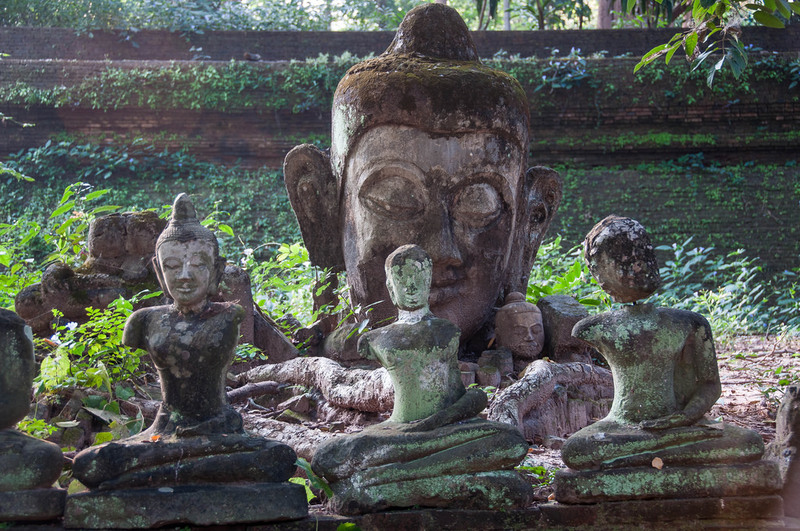 Aaron Goccia has written about Hindu festivals and Buddhist reliquaries for EthnoTraveler.